Mrs. Barbara R. Piperato Cuomo, 40 died Saturday (March 12, 1979) in her home, Hellertown R. D. 1 Lower Saucon Township. 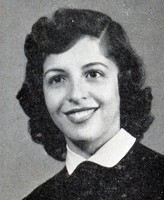 Born in Easton, she was the daughter of Frank R. and Faye Lisinichia Piperato of Palmer Township. Sah was a member of St. Anthony's Catholic Church, Easton.Surviving with her parents are one daughter, Dana Ann Piperata, at home; two stepsons, Thomas and Albert, both in Bethlehem, and one sister, Mrs. francine Daniels of Palmer Township. Service Arrangements will be announced from Ricci Memorial Chapels in Easton.